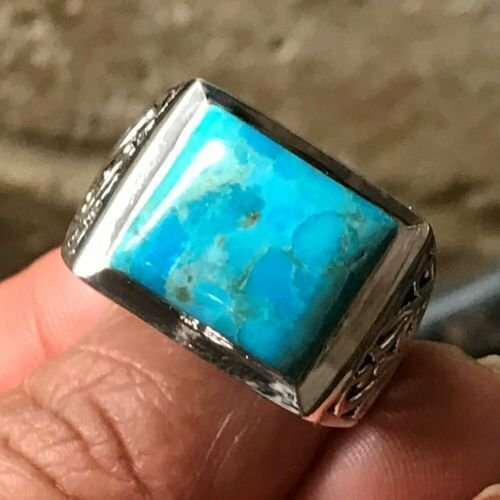 Handmade, natural product Stone: Blue Copper Mohave Turquoise Metal: 925 Solid Sterling Silver Turquoise is also known to promote leadership qualities. Not only does it help to induce wisdom and understanding but it opens the throat chakra allowing us to share that wisdom and understanding with others. Turquoise is a stone for finding, communicating and manifesting truth. It is said to open the throat chakra empowering us to articulate our wisdom and understanding.